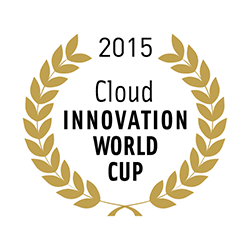 Finalist will be announced at the Cloud World Forum in London on the 24th of June, 2015. The award ceremony with finalist presentations will take place on July 8th 2015 at Google´s New York office. Participants of the Cloud Innovation World Cup have the chance to develop their solution using $100,000 worth of Google Cloud Platform credits. While registering, just select the option that you want to create your solution using Google’s Cloud Platform. Participants of the Cloud Innovation World Cup have the opportunity to develop their solution using Google Cloud Platform credits worth $100,000 of our co-sponsor Google for free. Learn more about the Google Cloud Platform Credits here.